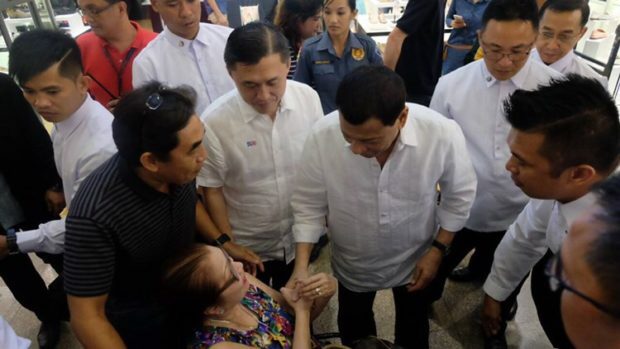 President Rodrigo Duterte took his time and dropped by at one of the upscale malls in Makati. Bong Go, special secretary to the President said that Duterte had his personal break for a while to unwind and went to a window shopping, to a little break amidst his busy schedule as Chief to the Philippines. The President went to the Jaeger Le Coultre boutique but did not buy anything. Instead, he had selfies and talk some with the mallgoers at the Greenbelt 5 Mall after gracing the 51st annual meeting of the Asian Development Bank (ADB) held at EDSA Shangri-La Hotel in Mandaluyong City.